Egypt’s textiles sector 2025 vision is set to position the country as the leading exporting MENA country within the textiles industry, focusing on high and medium value added products catering to the world’s largest retailers and manufacturers with reliable and agile delivery. The textile industry represents 5.6% of the Egyptian GDP, 27% of total industrial production, and 18% of total commodity non-oil exports. In its drive to achieve economic diversification and attract foreign investments, as well as to effectively contribute to increasing the Gross National Product, the government of Egypt has made it a top priority to develop the promising home textile sector to cater for the needs of the extremely booming upward residential and commercial projects sector. The textile sector is a key mainstay of the Egyptian economy, and the government is planning to increase exports by 10% in the year 2018. Demand for home textile products in Egypt is expected to witness an annual increase exceeding 17% due to the planned construction mega projects. The objective of the 2020 textile sector strategy in Egypt is to sustain export growth at 15% (CAGR) to increase from the current level 2.6 billion USD to 10 billion USD in 2020. 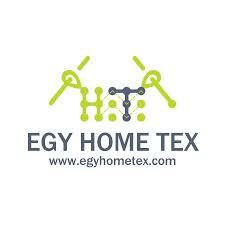 Egypt’s textile fabrics market is anticipated to grow at a CAGR of 15% within the coming five years.